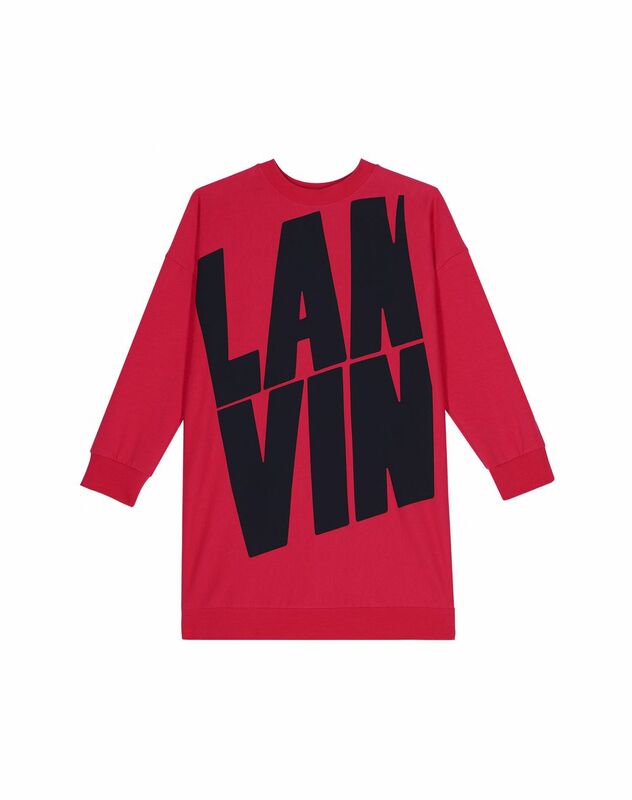 Long-sleeved dress in fuchsia cotton jersey, black contrasted large Lanvin logo print and ribbed hems. For this Fall-Winter 2018 Collection, Lanvin created a cute fuchsia dress decorated with the Lanvin lettering on the front. This casual sportswear model is Lanvin essential. Main materials: 95% cotton, 5% woven elastomultiester. Made in Italy. Care conditions: Machine wash at 30°C. Do not use bleach. Do not tumble dry. Iron at low temperature. Do not dry clean.